Nestled in Lakewood Estates you will find this awesome family home. 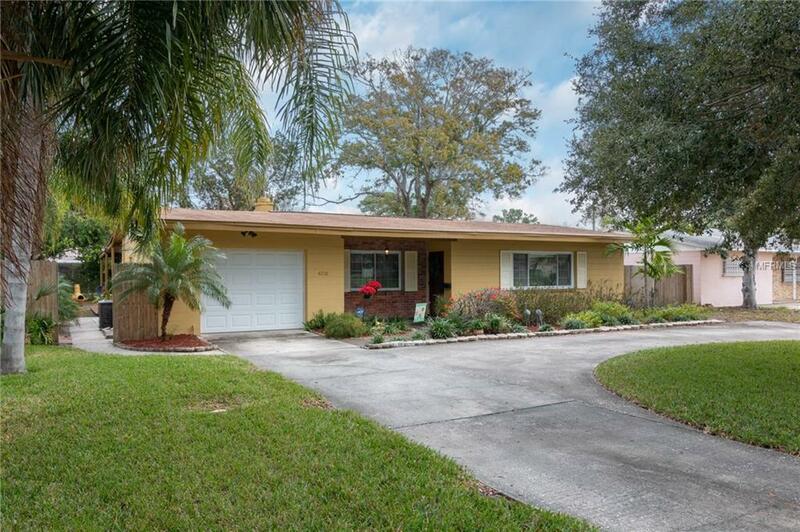 3 bedrooms, 2 bathrooms, huge lanai and block construction this home checks all the boxes. As you enter the front door the vaulted ceiling amplifies the main living room with the exposed wooden beams. The brand new wood look tiles flow throughout the whole house, the brand new kitchen could be straight off of HGTV with shaker style cabinets, granite countertops and stainless appliances. The open layout continues through to the 2nd living room which leads to the 1 car garage and huge lanai. Down the hall you will find the 2nd and 3rd bedroom divided but the guest bathroom and slightly further down is the master suite with a recently remodeled bathroom. On the outside of the property you can take advantage of the double gate to the right which provides plenty of room for boat/RV storage, not to mention the huge circular driveway which gives the home an abundance of curb appeal. The roof is going to be replaced and the buyer can pick out the color of their choice. With great access to I275 and less that 10 mins from downtown and the beach its hard to find fault with this gem!